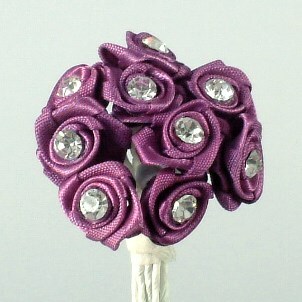 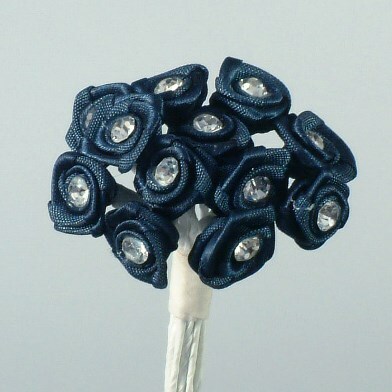 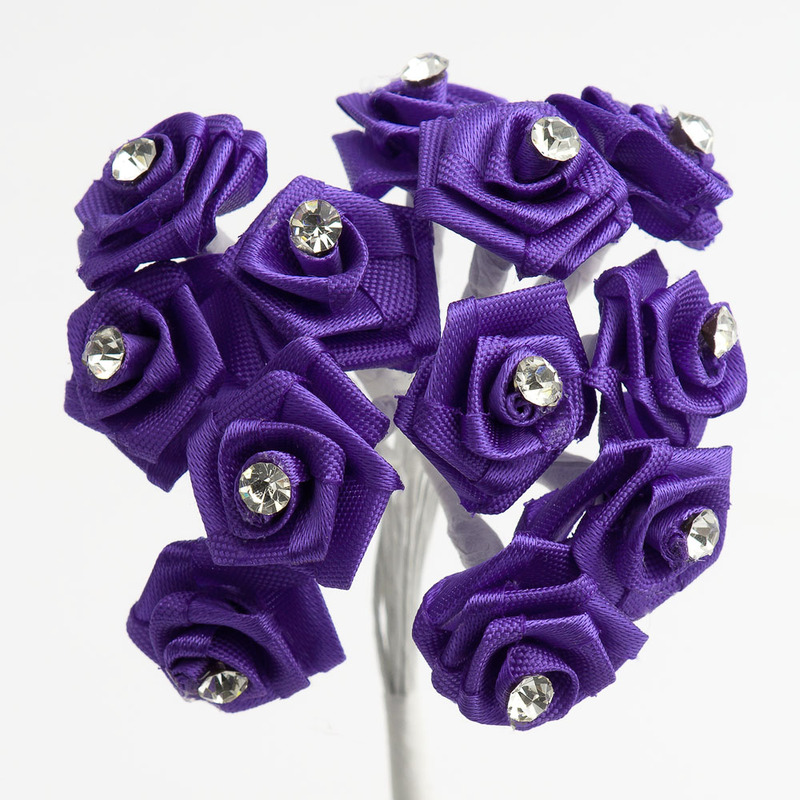 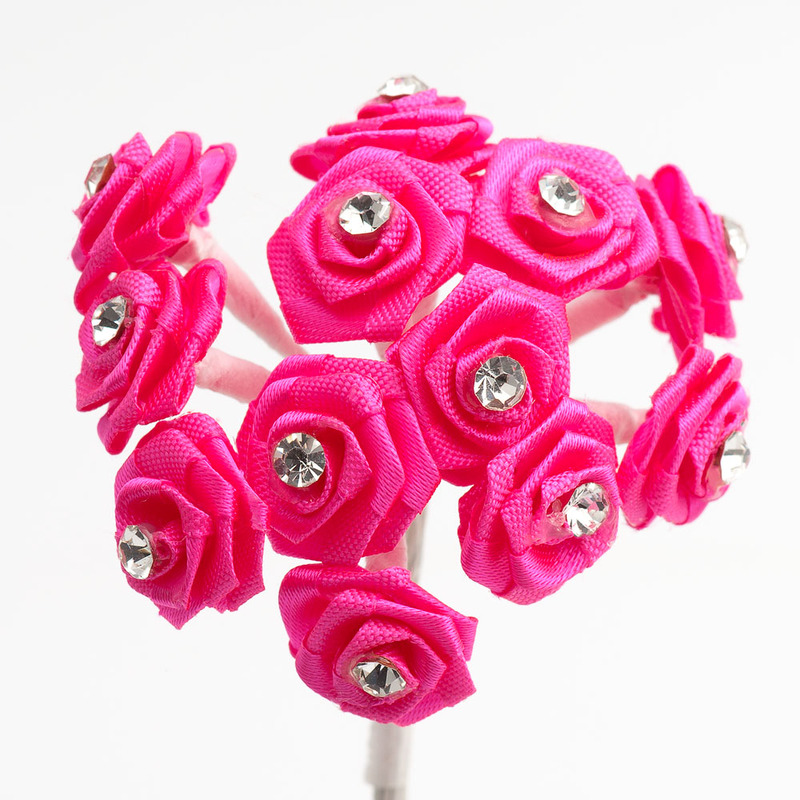 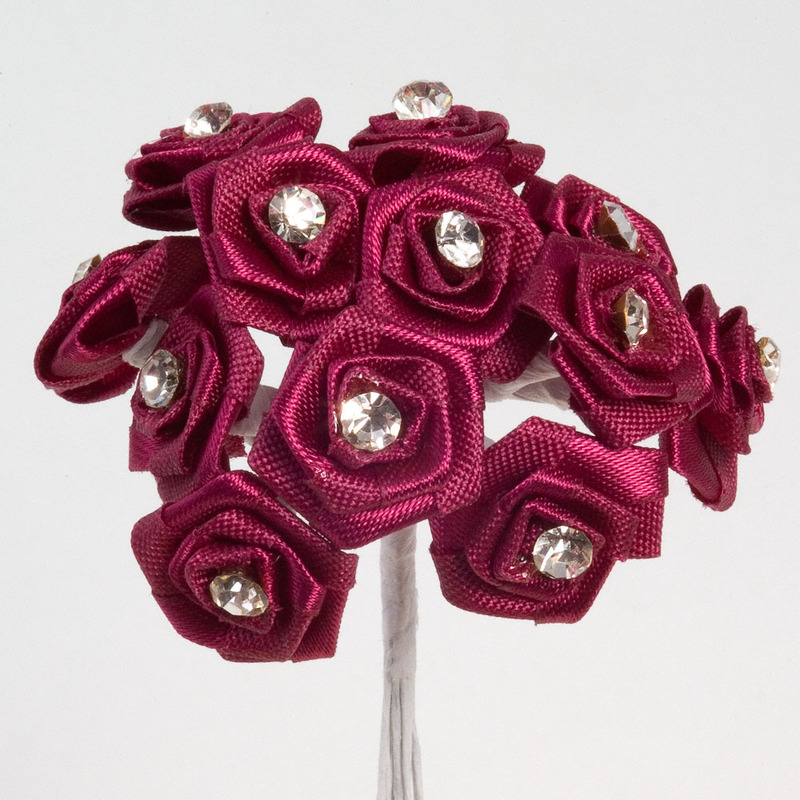 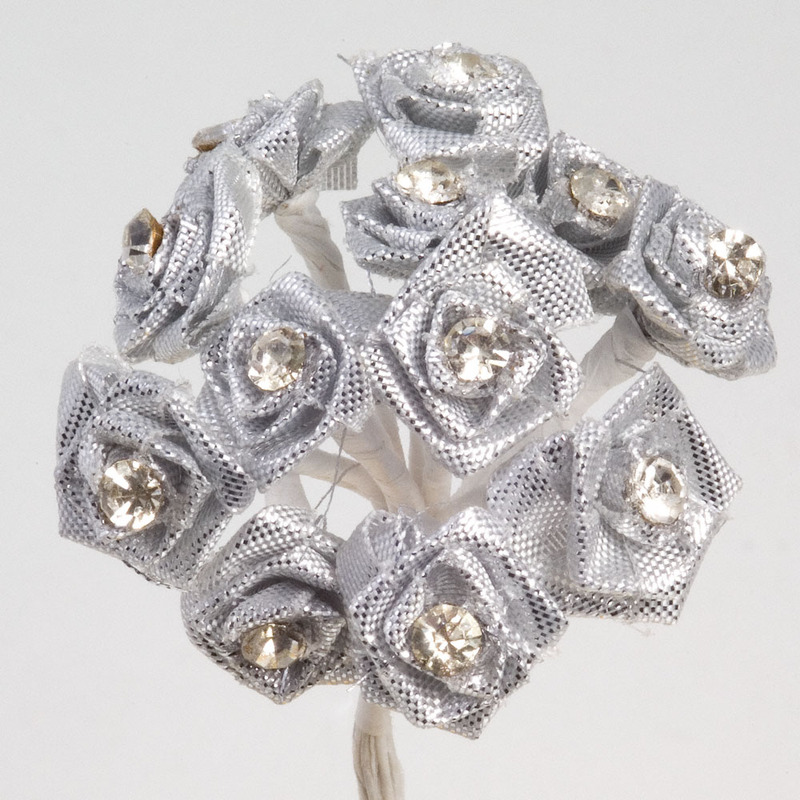 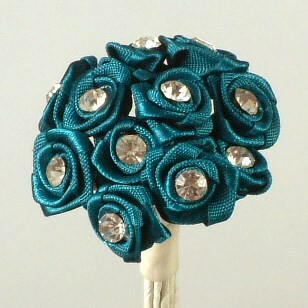 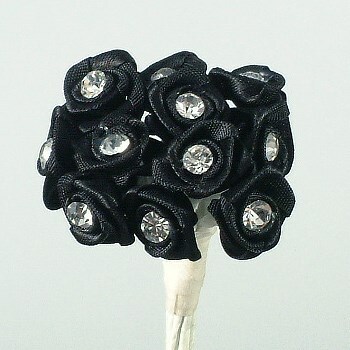 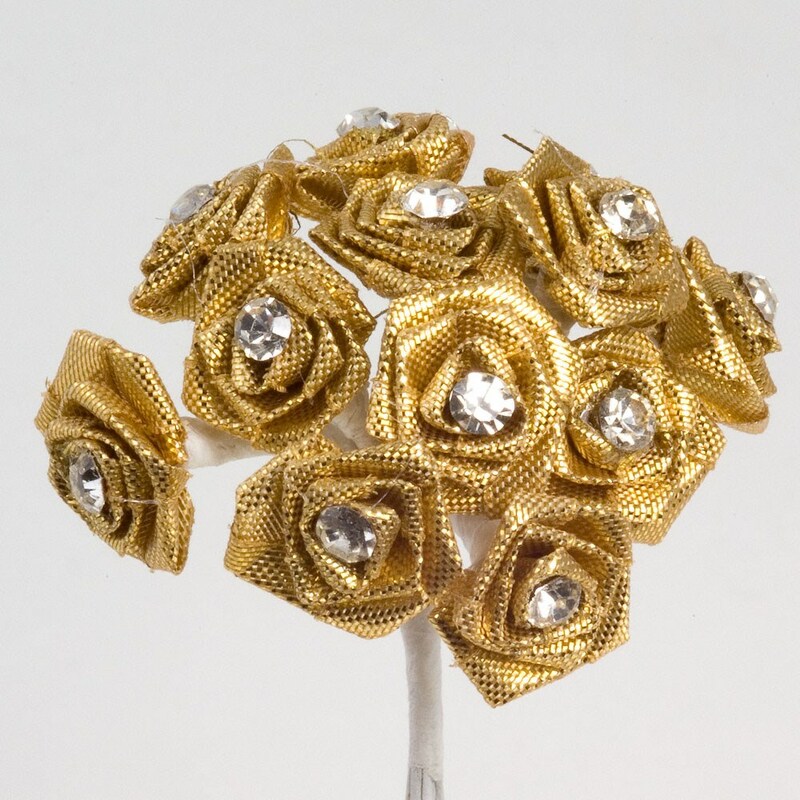 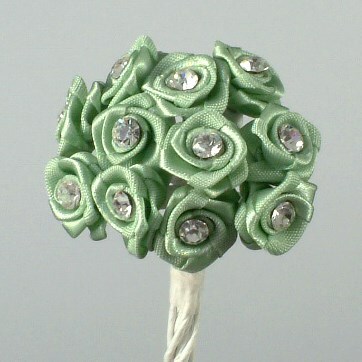 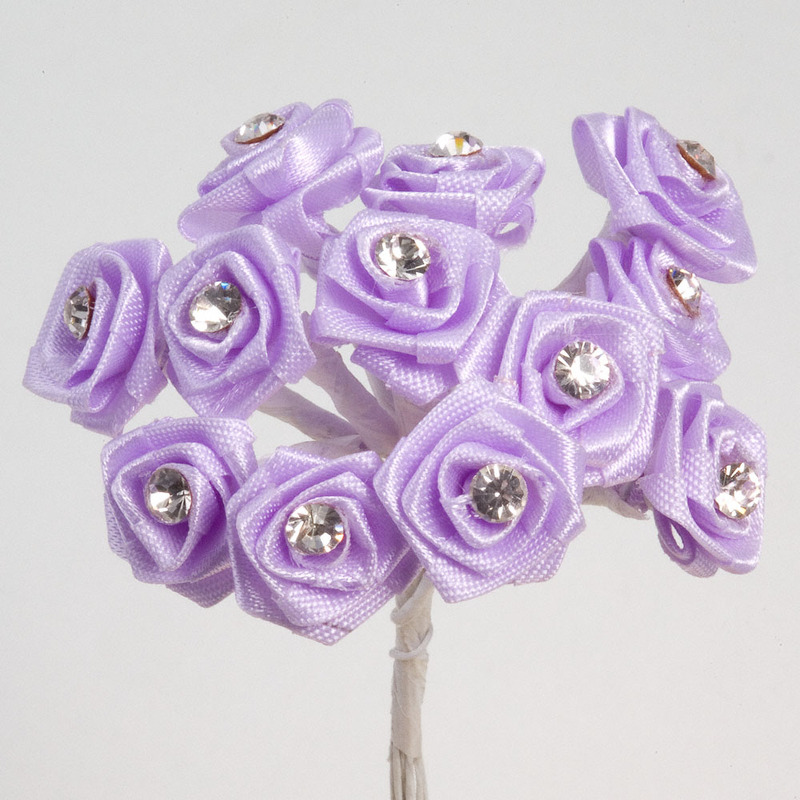 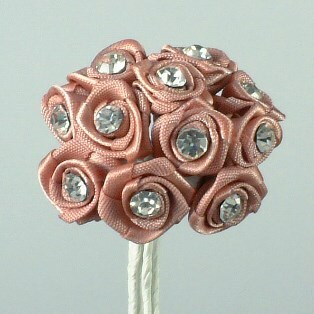 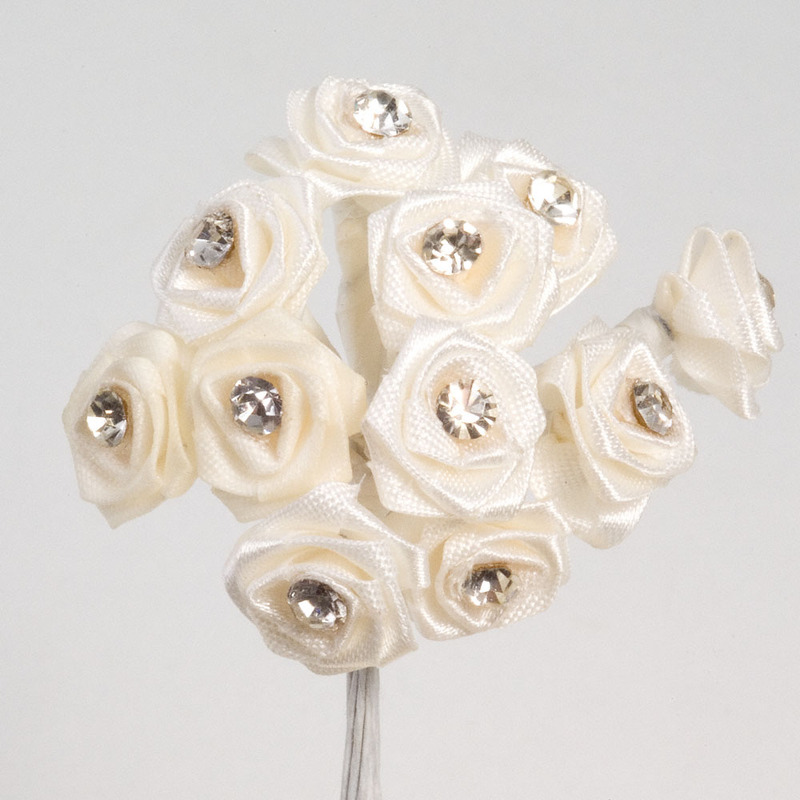 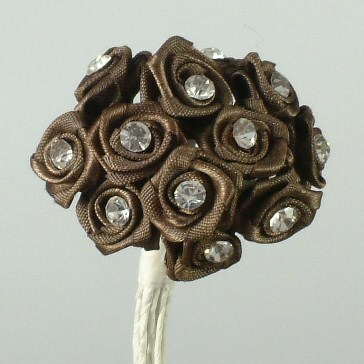 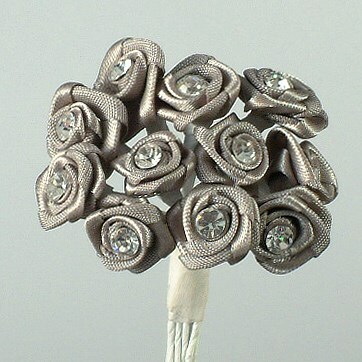 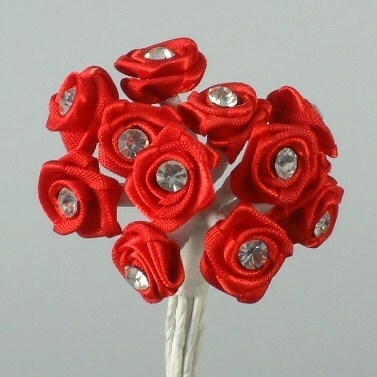 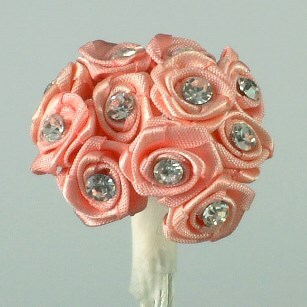 These Diamante ribbon roses will add that extra sparkle to both modern and traditional wedding favour designs. 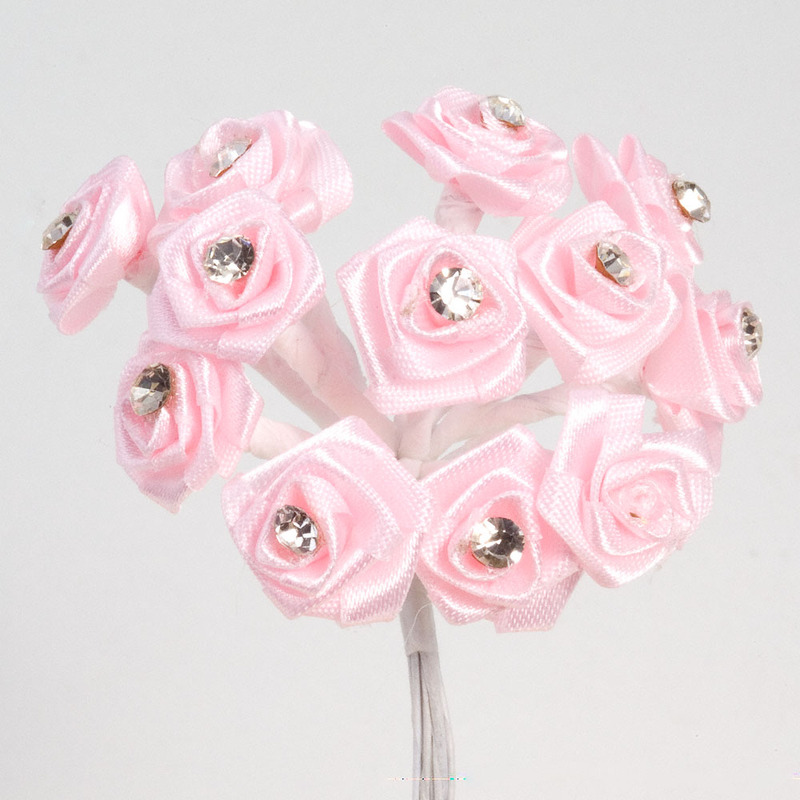 Use on favour boxes or as centre roses on bomboniere tulle favours. 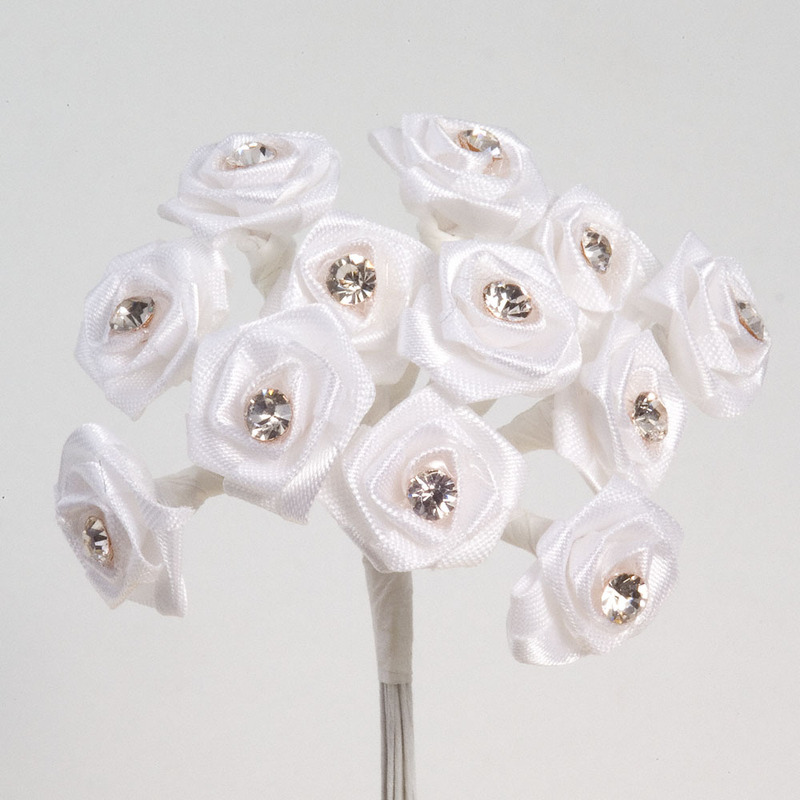 These flowers are also ideal to add sparkle to invitations or place cards. 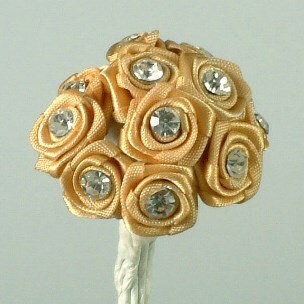 The ribbon is rolled to form a rose with a diamante cente on a wire stem.